He is admitted through a door intricately carved of ivory, and is greeted by the fragrance of tuberose, oleander and rosemary. The harsh sun is shaded by palm trees and cypresses, and becomes a thousand twinkling stars in the reflection of the water fountains. The sprawling garden and its heavenly fragrances ease his travel-fatigue, but it is a glittering pool of water in the distance that draws him in. But is it water? The fluid is shaken and glitters like liquid platinum, transforming the marble columns into pillars of twinkling lights. It is mercury, and the ambassador could only have arrived in one city in the world. Every few hundred feet he is greeted by beautifully groomed men dressed in intricate fabrics and scented with expensive ouds. ‘What have these men done to be honoured so by the Caliph?’, he wonders. It was the third day of our tour of Andalucia, and Alaudin, our Spanish tour guide, had brought us to the ruins of Madinat al Zahra. ‘Can you imagine…’, he continues, with a look of amusement on his face, ‘when the Byzantine ambassador realises that the exquisitely dressed men he is in awe of are only the Caliph’s servants?’. Madinat al Zahra is now an archaeological excavation site, but visitors can explore the grounds that have been recovered. Some of the original marble is still there, over 1000 years later. All rights reserved Soumaya Hamdi. The Caliph is Abd al Rahman III, who in the 10th Century held rule over a very powerful and wealthy Andalus. The once sumptuous city of Madinat al Zahra is now only a shadow of its former grandeur, having slept for almost 1000 years under layers of dirt. The city was sacked in 1010, less than seventy years after it was built, and the beautiful furnishings – down to even the marble slabs – were stolen or quarried. This is the largest city ever built from scratch in Western Europe, and the little gems we discover about it during our tour leaves me reeling. Why have I never heard of it before now? 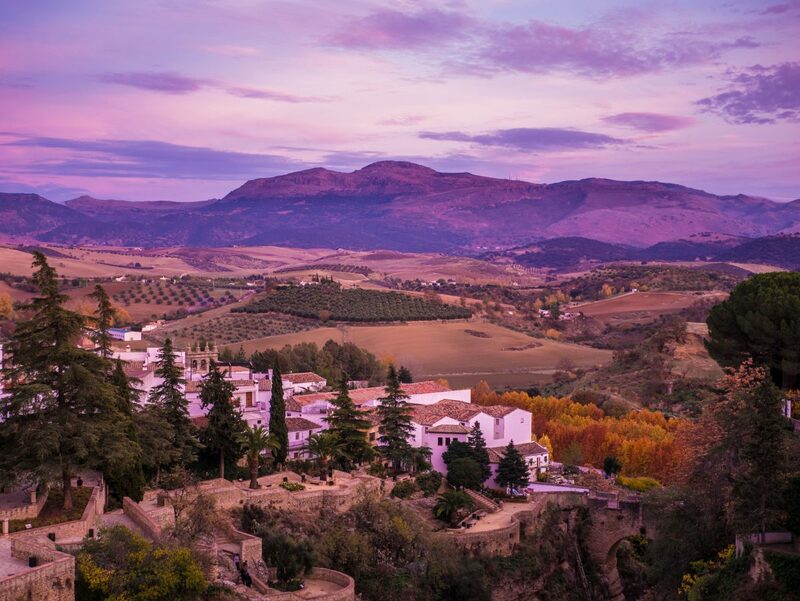 You could easily spend a whole afternoon just rambling through the historic centre of Cordoba. All rights reserved Soumaya Hamdi. The previous day we had arrived in Cordoba. 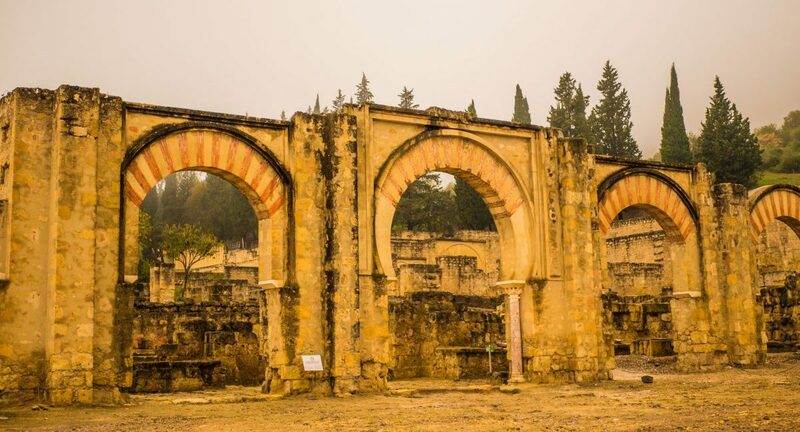 Nicknamed ‘The Ornament of the World’, Cordoba was once a centre of knowledge, innovation and culture, during its time as the capital of Al Andalus. Although the city also achieved geopolitical importance during its period of Roman rule under Julius Caesar, it was not until the Moors arrived from North Africa in 711 that Cordoba began to truly flourish. Running water, public baths, paved streets and one of the largest book collections in the world distinguished Cordoba as a centre of learning, tolerance and architectural beauty. 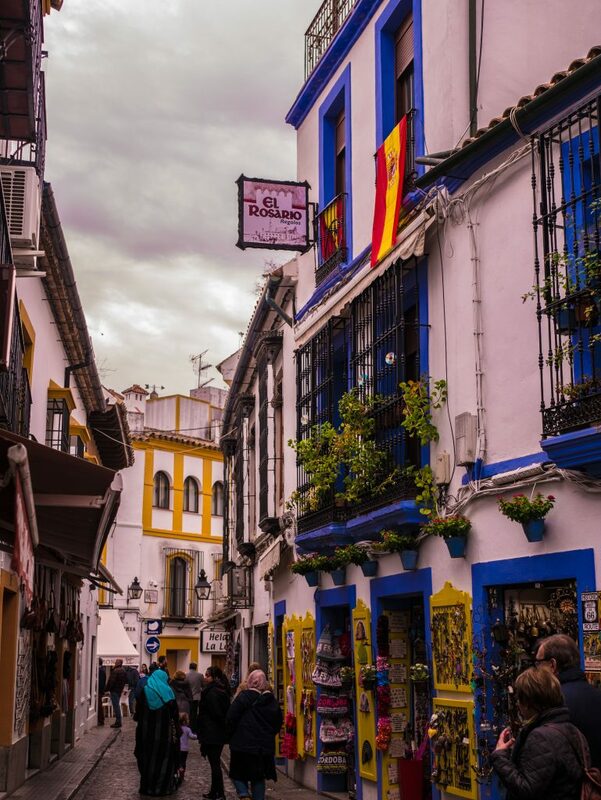 Before delving any further into the city’s brilliant history, our tour guide Alaudin takes us into the heart of Cordoba in search for lunch. We traverse many cobblestone streets and walls decorated with potted plants before we arrive at a little nook in a whitewashed wall called the ‘Salon de Te’. Designed something like a Moroccan Riad, a narrow passage in the salon opens up to a central garden room, adorned with plants and the delicate sound of trickling water. We are invited to a private salon and proceed to sink our travel-weary bodies into the sofas, whilst a server brings in an array of aromatic tagines. I savour the taste of lamb cuts braised in a sauce lightly flavoured with cinnamon and coriander, scattered with juicy dried plums and a deliciously flavourful vegetable stew. After at least two more platefuls and copious amounts of mint tea, it is time for us to embark on the main purpose of our visit to Cordoba. 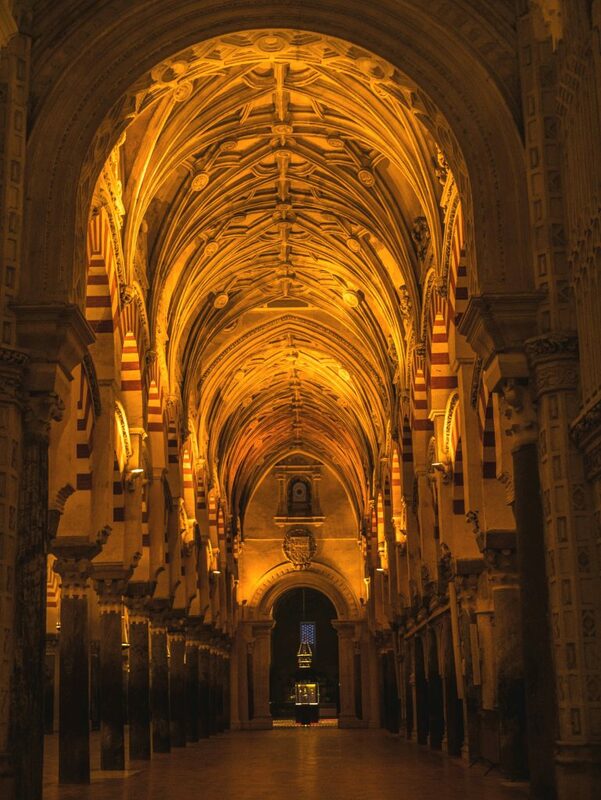 The magnificent vaulting and arches in the Mezquita-Catedral. All rights reserved Soumaya Hamdi. Constructed in 788 under the order of Abd al Rahman I, the Mezquita was eventually converted into a Cathedral and has since been designated as an UNESCO world heritage site. We are greeted at the entrance by historical expert and tour guide Rafa, who dives straight into regaling the city’s history with a passion that brings the Mezquita to life. 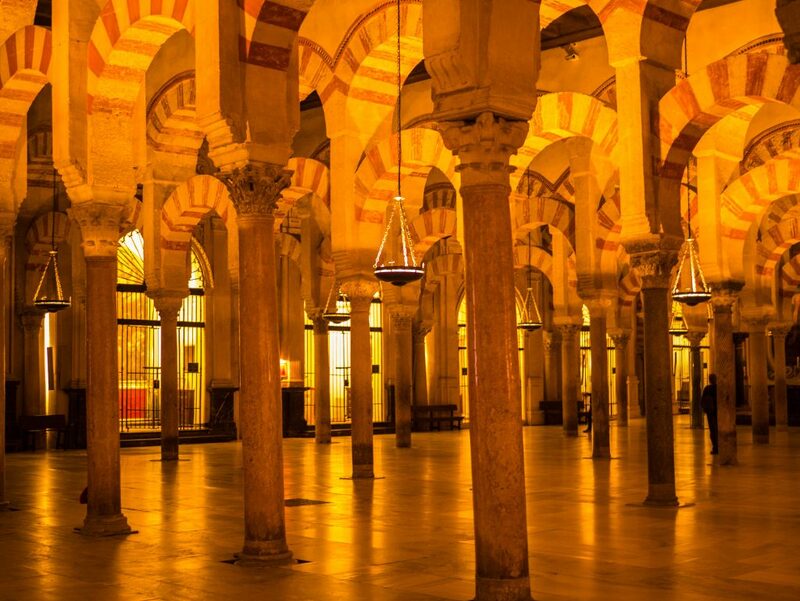 The Mezquita is a symbol of the beauty, tolerance and knowledge that characterised Cordoba under Moorish rule. In fact, Cordoba produced some of the most influential thinkers the world has ever seen. Albucasis, described as ‘the father of surgery’, studied and taught medicine in Cordoba in the 10th-11th Century. His influence on medicine in Europe continued for five hundred years after his death, with some of the surgical instruments he designed still being used to this day. As we walk through a forest of marble pillars and arches, Rafa adds colour to his story of the culturally rich society that once roamed through this architectural masterpiece. One story in particular captures my attention. A man arrived in Cordoba in 822, and according to one historian, brought with him a ‘wind of pleasure and luxurious life’. Little to nothing is taught about his influence on European culture, but he rose to such influence at court that the Spanish nobility began to imitate his practises. From using toothpaste and early forms of deodorant to imitating his hairstyle, he set the foundations for present-day essential grooming. He established the first musical conservatory in the world, and rearranged musical theory to create new ways of expression and composition. The set course meal you enjoy at your favourite European restaurant? Yes, you have this man to thank. A man who lived over 1000 years ago in Muslim Spain, whose ideas gained influence in France, Italy and elsewhere in Europe. Keep an eye out for Part II which will be released on 31st December 2017. We have launched a social media campaign to #OwnYourNarrative. Our aim is to bring to light the positive contributions to society Islam has made for over a century and a half. It’s time we took hold of our narrative. Join our cause by sharing your favourite Halal Travel Guide posts on your Facebook, Instagram and WhatsApp.